No embedded video for Mac, Linux for now: The KML 2.2 reference documentation notes that “In Google Earth 4.2, video is supported” and goes on to show sample code for embedding YouTube video in a placemark. Unfortunately, word from informed people is that only the Windows version of Google Earth comes with the requisite embedded Flash player. “Mac & Linux do not have this, and won’t for some time.” This definitely dampens the incentive to go make KML with video content in it, as it would break the cross-platform compatibility that Google Earth 4.1 enjoyed with KML 2.1. 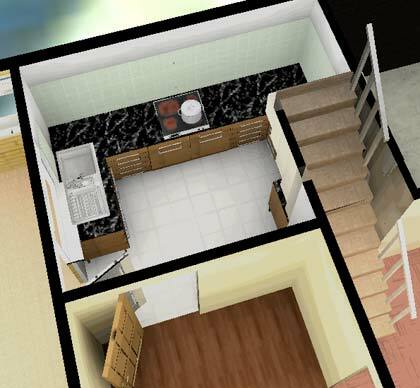 GE has been used for real estate since back in 2005 of course, but the new aspect is that we have developed technology to generate furnished 3D models in GE automatically from 2D floor plans. We produce thousands of floor plans per day for real estate agents, so this will lead to quite a lot of 3D models quite quickly! There’s more information here. Given that the Google Maps API provides the same data (albeit in 2D) and given that any URL can now embed a Google Map, surely somebody can point out to the Moroccan government that they’d need to close down the internet if the intent is to prevent this imagery from ever being seen by Moroccan residents.